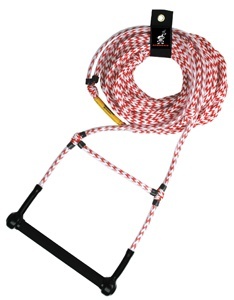 This 1 section ski rope has an aluminum floating handle and molded end caps for safety and comfort. The 12 in. EVA grip provides a great handhold. 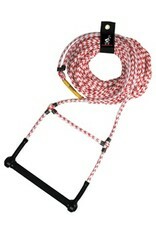 The 16-strand 75 foot long rope is UV-treated and pre-stretched. A Rope Keeper is included.